1 How to Transfer Files from Android or iOS to PC? 2 How to download xender for PC or laptop? Though smartphones are slowly evolving to a level where they are starting to replace the traditional PC and laptops, but storage is one primary department where they still fall back. Yes you do get Micro SD card slots but once the storage is full you often find yourself deleting the stuff so that you can save new data. Apart from deleting you can also try saving a copy of that data in your PC for future use and to save it you need to transfer it first on your laptop or computer running windows 7, 8, 8.1 or 10 from an app called xender. How to Transfer Files from Android or iOS to PC? There are tons of ways you can transfer the data to your Laptop, one primary method is via USB cable but who uses cables in today’s world where technology has evolved to a level where you no longer need them. There are many softwares that take advantage of the WiFi direct feature and transfer the data to your phone or vice versa. One such tool we found really impressive is Xender for PC is of the best tool we’ve come across lately and that prompted us to write this article for you guys. Xender creates a Private WiFi network within the connected devices and once they are connected you can transfer anything via the tool. This is how Xender for PC works basically. So let’s get started with our article on how to download and install Xender on your PC. There are two ways to use Xender on your PC, both are easy and most reliable methods. How to download xender for PC or laptop? These two methods will be useful to transfer files from Your android or IOS device to PC. That’s it, you are now connected and you can start transferring. Meanwhile, feel free to check complete information about akamai netsession interface. Second method is by making use of Android emulators such as Blue stacks, Andy, YouWave, etc. Though not all of the listed tools are free, but few of them are. So find the Blue stacks software which is quite popular so we guess you wont be having trouble finding it. Once you have the copy of the software with you just install it on your PC with Admin rights so that you won’t face any permission errors. Download Bluestacks emulator from here. Installing the software is also quite easy, just follow on screen instructions and depending on your internet speed the software will install quickly. Once you are done installing, login to your Google Play account from Play store. After that, download the Xender App via the Play Store, wait for a while to install. Once it is installed the user experience will be quite familiar as it just looks and feels the same way as it did on your Android smartphone. When you are on the home screen just pair it with your android phone and start the transfer process. Turn on your WiFi in your phone and on your smartphone so that it will create a private network allowing you to transfer the data between your phone and computer. As Simple as that. This process is the same in any Android emulator. Hope you have found this article useful, these steps are most reliable and convenient steps to transfer stuff from your PC and Mobile. 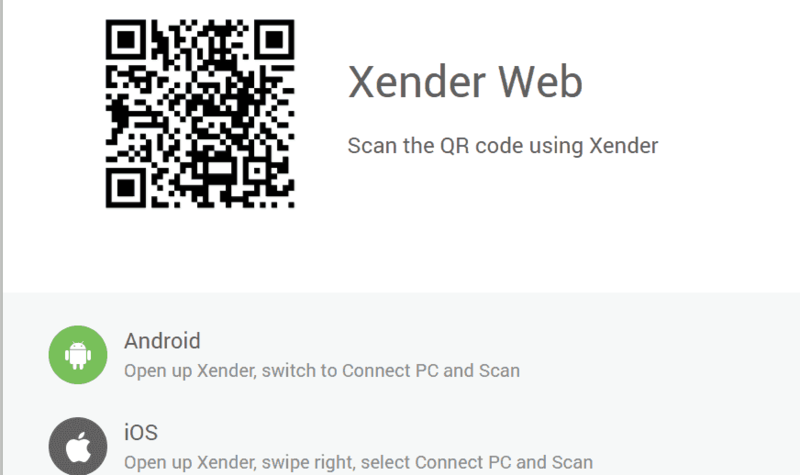 Thus, you can use Xender app on your PC conveniently. Hope you know the process and now be able to start transferring files from mobile to your laptop or computer to mobile through Xender for PC. Do let us know your thoughts. No, there is not setting for it to detect your device. Make sure you are following right steps and accessing xender web properly. Otherwise, From your mobile, go to connect with PC, and tap on create hotspot and then connect your PC.